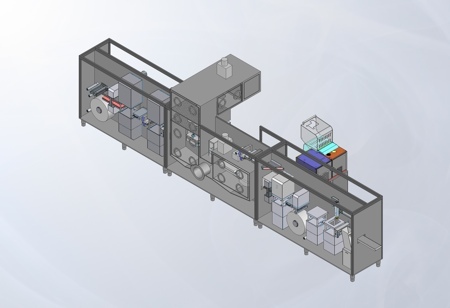 Rohrer, the Swiss based blister packaging specialist has commissioned UK-based Solo Containment to develop a flexible film containment system for their RS 570 small scale blister sealing machine. The specific API materials for this application demanded an aseptic environment operating below 0.5% relative humidity to assure product stability in the foil blister. 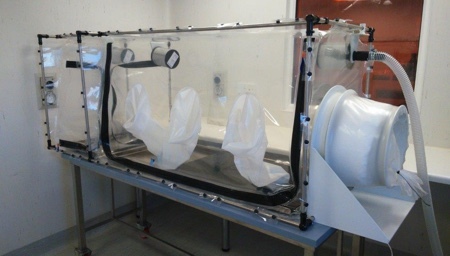 Working with the project group at the Mohlin facility, the engineers at Solo Containment developed a PLC base Nitrogen dosing system which was able to de-humidify the work chamber within a 60 minute cycle after the completion of VHP sterilisation. 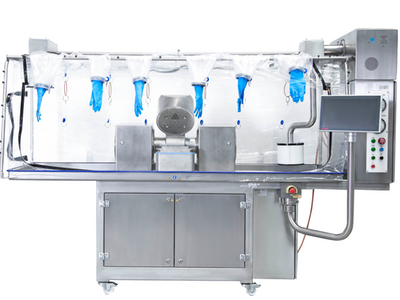 The control package is able to maintain a pre-set humidity level and run an air purge cycle at the completion of blister sealing operations. 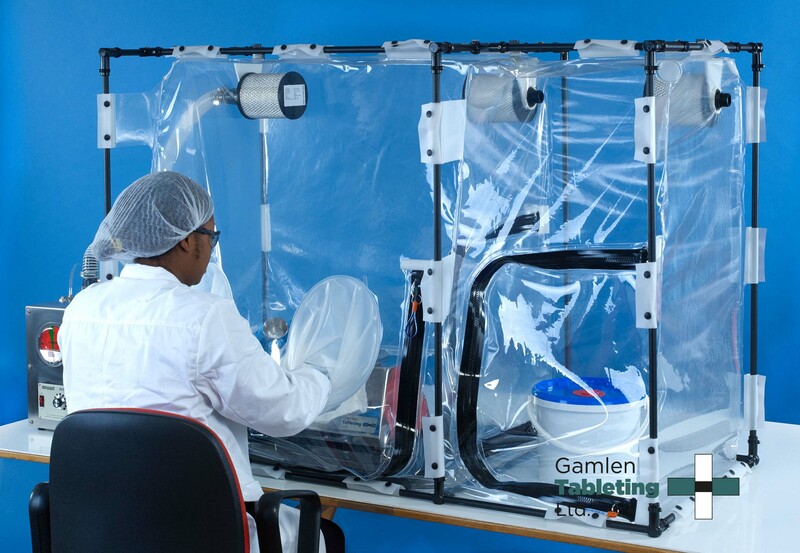 The Solo enclosure was manufactured from VHP resistant flexible film and featured a gas tight equipment set up zipper and support loops to assure complete bio-decontamination of the glove sleeve system.